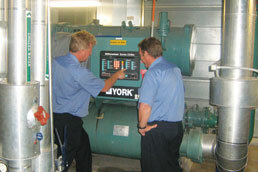 Critical Air started out as McNeall Air Conditioning in 1961. The company focus was on Design and Construct and later a Service/Maintenance division was added to the company, providing a complete package for the customer. A company restructure occurred in 2006 when the decision was made to focus on the provision of service and maintenance for customers who are "downtime" sensitive in terms of air conditioning operation. At this time the company changed its name from McNeall Air Conditioning to Critical Air Pty Ltd. Currently maintenance and service is provided to customers, many of them for periods in excess of 15 years, with equipment ranging from light commercial air conditioning systems to heavy industrial plants. Critical Air prides itself with the relationships it has with its customers, who want value but require function and reliability. A culture of “No Cutting Corners” prevails at Critical Air. 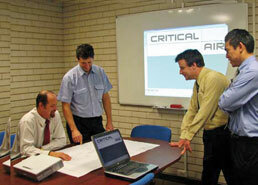 Critical Air is ISO 9001 Certified and Trades Monitor accredited to AS4801 and CM3 accredited. We employ fully licenced field technicians, whose skills are refreshed every month. Breakdown response time of 1 – 4 hours is guaranteed with our 24/7 service, keeping our focus on becoming the most capable, caring and progressive maintenance service provider.